At the moment, I’m actually scared of checking my Goodreads Reading Challenge because I’m way behind and I feel terribly guilty. But then, this year life happened. My startup took off and all hands had to be on deck. I had to find some kind of rhythm again. Plus there simply wasn’t enough time. When you’re a solopreneur without a team, your to-do list never ends. It is continuous. So, yeah I have a pretty good explanation. For several weeks now, I have been struggling with the guilt of not reading but then it hit me! There are other alternatives to actually reading a book such as audiobooks. I tried audio books once with Pride and Prejudice but I fell off the wagon. I just felt like it wasn’t for me. But right now, I don’t have a choice anymore. I have to make it work particularly as I’m already having issues with my eyes. Audio books are perfect for me. Anyways, I decided that I was going to start with memoirs which I’m already a huge fan of. Something slow, lightweight and witty. 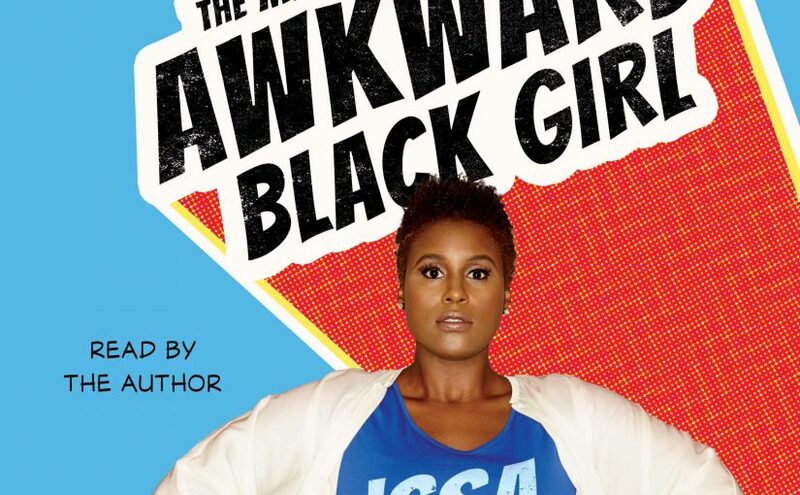 Preferably hilarious and Issa Rae’s The Misadventures Of A Black Girl was a perfect fit. No, I did not read her book before now. Also no, I have never watched any of her YouTube series so she’s pretty much still mysterious to me. But her audio book which she narrated herself unraveled all of that. From her background as a Senegalese-American (I had no idea plus her surname is Diop. Is she by any way related to Klaudia Diop, the melanin goddess? I have questions) to how she got her stage name ‘Issa Rae’ from her government name, ‘Jo Issa Diop’ after hoping to get a really cool nickname from her classmates. She talked about growing up and how she couldn’t fit in with her tomboyish looks but had to resort to online chat rooms to make friends and to explore her teenage hood. Naturally, she talked about her foray into entertainment from her early days at her school plays to her YouTube series (which I’m totally going to watch right after) and all her misadventures in between. In a true Issa Rae fashion, it was bold, honest and witty. Somewhat hilarious. If you’re familiar with Insecure, just imagine her reading a hilarious book. You get the picture. My favorite chapter was definitely about her natural hair journey and how she came to terms with it after a bad relaxer job and it was so damn relatable. Then she spoke about her parents’ divorce and how she handled it like a grown-up. I’m almost always expecting a divorce story in a black memoir. It feels like a trend and it never fails to disappoint. Not forgetting her love life. From being mistaken as a lesbian in school to a generational family curse in which marriages don’t last and how she might never get married because it’s not a big deal anymore. Issa was also honest about her trust/commitment issues and I thought that was refreshing to hear. Apparently, she’s not so different from her character on Insecure after all. She talked about her relationship with music including her three defunct rap groups and her short-lived career. Of course, she delved into more serious issues like racism, life as a black woman, black culture, black stereotypes and everything in between. Plus her journey to self-discovery including her body image. It was such an enjoyable session and I loved every bit of it. I’ve bought a couple of more audio books and I’m hoping I can really get into it and juggle it with my podcasts.